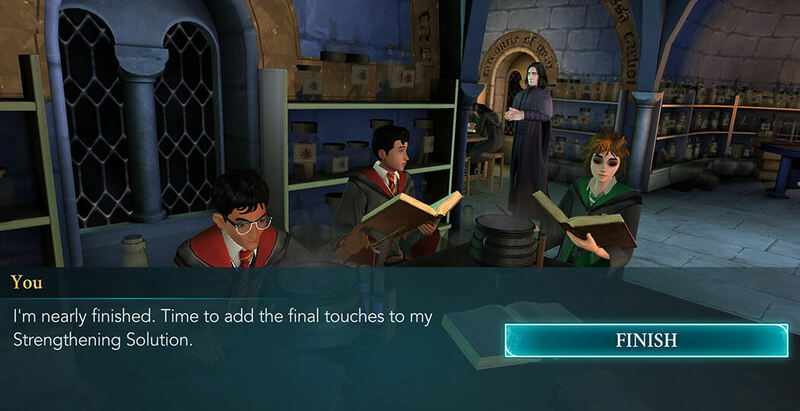 Just like Charms Class, Potions class has taken a back seat to Transfiguration in the second year. You will only learn how to brew two potions from Professor Snape. 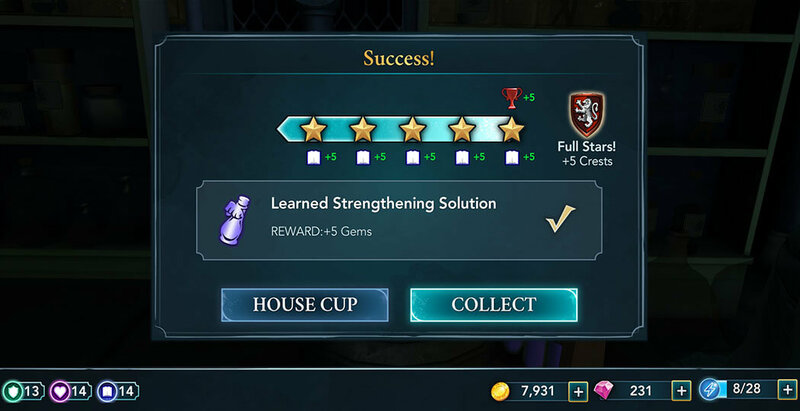 The first of these potions is the Strengthening Solution. Once consumed, this solution fortifiers the user's strength. In the wrong hands it could be a dangerous tool, and in the movies, you can see Dolores Umbridge criticising Snape for even including it in the curriculum. 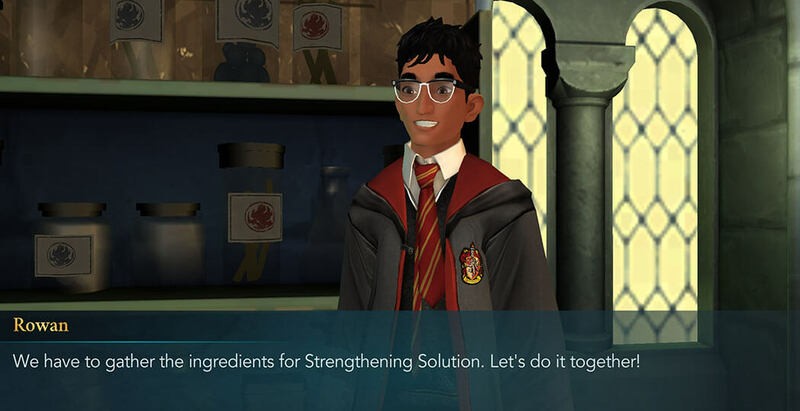 Once the class starts, Rowan will ask you to go look for the ingredients with him. Working in a pair will surely half the time it would normally require, so you'll gladly accept the offer. Accompany Rowan to where the ingredients are kept and search for the required ones. Now that you have gathered all the ingredients, place them on the table in front of you and get to crushing. Potion brewing is a delicate art and just like casting charms, there is no room for mistake. 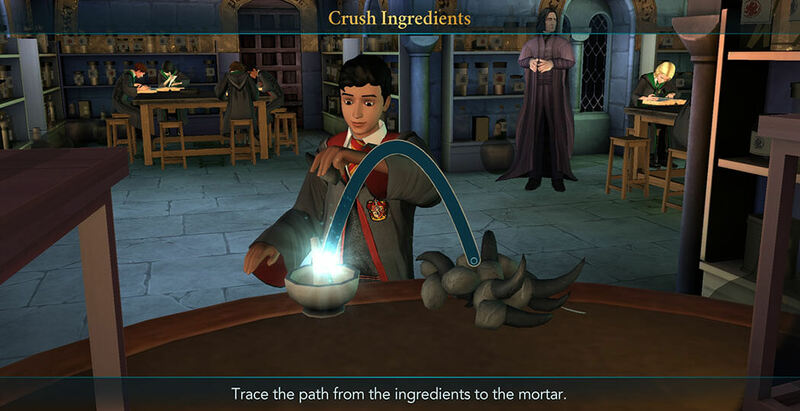 Properly grind your ingredients down to the required size and prepare them for the cauldron. One must have a firm and steady hand to stir properly. Should your touch lack determination, the potion will come out wrong and who knows what might happen when you drink it. 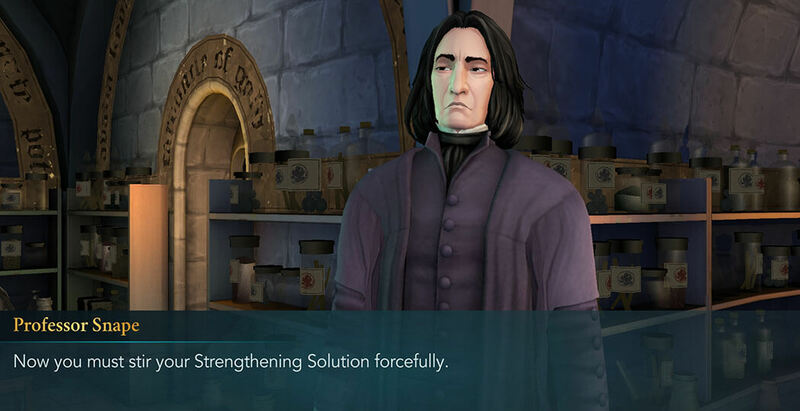 Listen to Professor Snape and mix like you mean it. If you've done everything right up until now, you will reach the final step without problems. Keep up the good work and finish up the potion. And there you have it! You've learned how to brew the Strengthening Solution. Use it wisely and only when needed. Hopefully, such an occasion will never arise, but Hogwarts is a mysterious place, and you never know where danger might lurk.